As Co-Owner and Broker of Record, John oversees all aspects of McCann Realtors. 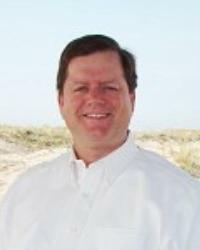 John, a former REALTOR of the Year and former president of the Cape May County Association of REALTORS, is a 1984 graduate of LaSalle College. Also a licensed General Real Estate Appraiser, John owns John A McCann & Associates, one of the area's largest appraisal firms, with the ability to perform all residential and commercial appraisals. John is a former two-time president of the New Jersey State Real Estate Appraisers Board, where he has served since 1998, and is a Commissioner on the Cape May County Tax Board. John and his wife Kathy have been married since 1986 and live in Ocean City with their daughter Myra and son Sean.